GPS trackers are the latest technology for people wanting to know the location of their car and protect it from theft or loss. GPS car trackers can alert you if your car has or is being moved by theft, unauthorised use or being towed, allowing you to take immediate action rather than being at a total loss when you arrive back at the car’s previously parked location only to find the car is gone. Also, depending on the model of GPS car tracker installed you may be able to remotely sound the alarm, lock doors, wind up all electric windows or disable the starter motor electrics making it very difficult restart the car again by the thief or unauthorised driver. These features are not automatic, but rather you can specifically command the tracking device remotely so you have full control. For example, if you receive an alert that your car is being moved, you can make the car alarm go off (if it hasn’t already), alert the authorities and then track your vehicle in it’s travels making it very easy for the police to recover your car quickly. Or another example, if you were away on holidays and find your car missing (say from the garage) you can check it’s current location, or view the route the car travelled using a suitable Live Tracking service. You can also remotely disable the vehicle from being re-started by pressing a button on an installed GPS tracker mobile phone app. This could also be used if you want extra protection from vehicle theft after parking your car in a high-risk area. GPS car trackers provide real time GPS location data which can be mapped using a mapping service like Google maps or Bing maps. These live tracking systems allow for the storage of trip data for many months making it easy to ‘go-back-in-time’ to review a particular time or event. How this works is that the car tracker sends its location and speed information every 3 minutes. This data is recorded on a secure cloud-based server allowing for any type of event to be viewed or for reports to be generated. Because this data is sent automatically on a frequent basis to the recording server not only is the current location of the vehicle available but also it’s trip history data, distances travelled, starting times and stopping times, speed and other information is available also. fleetminder provides it’s Live Tracking system whereby the driver’s actual route travelled can be easily seen for the day, the week, the month, up to 6 months. This is useful if you wish to see if the driver drove to a particular area and how many times. Simple reports are also available for total distance travelled in a day, the week or for a month. Overspeed alerts and overspeed reports can be set and generated (usually setting 110 km/h as the overspeed level). Installation is fast and easy with GPS car tracking systems with some devices like the fleetminder OBD300 available that plug directly into the on-board diagnostics (OBD) ports available on a majority of vehicles today. The voltage of these OBD car trackers is 12 volts – the same as plugging any device into a cigarette lighter socket. So safe for anyone to install them. Some OBD car trackers come with an extension cable allowing the tracker to be hidden within the dash. 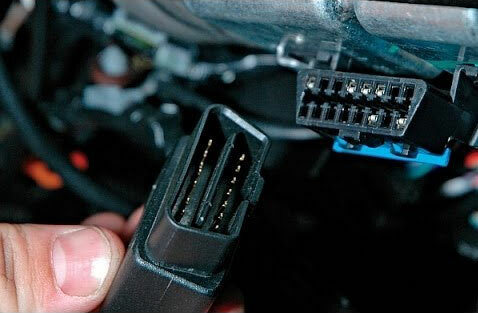 Also, an OBD double adapter can be fitted allowing a mechanic to still be able to run car computer diagnostics without having to disconnect the car tracker first. Other car trackers are wired in which requires a qualified car electronics installer. *The wiring on the FM Lite model only requires 3 connections: power, ground and ignition, so it’s pretty easy to install by a car stereo installer or auto electrician. Some GPS car trackers can transmit engine data (car dependent) besides just tracking the GPS location giving you a full picture of what is going on with all your car(s) at any moment. Data is available for travel speed, fuel level, or alarm activation, and other car engine or driver event. This is usually for specific, fully-featured GPS car tracker models only. Any of these inputs require wiring connection during installation into the car. Using GPS car trackers is simple and intuitive and they operate on any computer (or mobile phone, tablet device) that has access to the internet. There are no training classes or difficult software to master to begin using GPS car tracking systems so anyone can use it to view the location and driving history logs of the car. There are even GPS tracking mobile phone apps (like the FREE fleetminder app) which will send a SMS text message to the device to command it to immediately reply with it’s (and your car’s location). These GPS car tracker devices have dropped significantly in recent years and have become very affordable for the consumer and business markets. They are useful for vehicle theft recovery, safety of the driver, driver behaviour monitoring, vehicle monitoring and business efficiency for service or delivery vehicles. These tracking devices and the software tools available can give you greater peace-of-mind to protect your car as well as the driver whether that’s your partner, or family member.